With the safe voltage monitor PNOZ s60 Pilz now offers monitoring of the de-energised state of plant and machinery to the standard UL 6420. This makes PNOZ s60 suitable for use in applications that require a Safety Lockout System (SLS), that is, when plants are held in a safe, electrically de-energised state. Pilz is expanding its international range of services in the field of machinery safety: in future Pilz will support companies worldwide who want to export machines to the USA or operate them there, in terms of the necessary compliance. Manufacturers and operators can ensure that their plant and machinery complies with the US requirements for machinery safety. 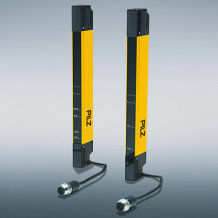 The safety laser scanners PSENscan from Pilz are now also suitable for area guarding of vertical applications, for example for access protection. What’s more, with PSENscan applications can now be designed with greater flexibility, which minimises downtimes and increases cost-effectiveness. Pilz is presenting the new IO-Link master module PSS u2 ES 4IOL for communication between the remote I/O system PSSuniversal 2 and sensors/actuators. 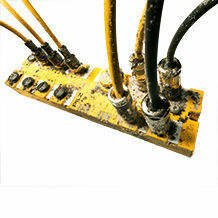 IO-Link technology is standardised worldwide in accordance with IEC 61131-9. It enables automatic parameterisation and expanded device diagnostics in the spirit of Industrie 4.0. 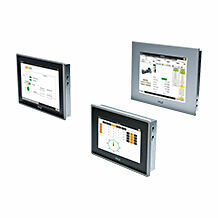 With PITmode fusion, Pilz now offers a modular operating mode selection and access permission system. The modular system is characterised by more flexibility for functionally safe operating mode selection and for the control of access permissions to plant and machinery. This way, PITmode fusion enables efficient operation mode selection and access permission management that covers both safety and security specifications. 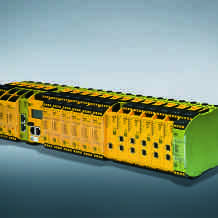 In the automation system PSS 4000-R for railway, Pilz now provides two new control heads with M12 interface. So reliable signal transmission is guaranteed on and beside the track, even under adverse conditions! Under the motto “We automate. 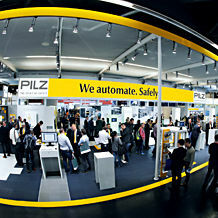 Safely.” in 2019 Pilz will again be presenting innovative automation solutions for all industries at the Hannover Messe from 1 to 5 April. The pioneer of safe automation will be focusing on innovations from the areas of operating and monitoring, safe sensor technology, I/O systems and services. Accompanied by: The world’s lowest profile actuator and a modular, therefore innovative operating mode selection and access permission system. 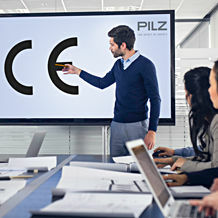 Pilz expands its international training offer with a further TÜV certification: The new training for "CECE – Certified Expert in CE Marking" provides expert knowledge about all necessary steps on the path to CE marking. 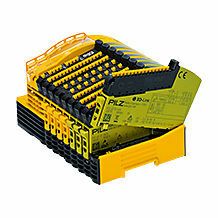 Pilz launches new generations of the control systems PMCprimo C2 from the Pilz Motion Control range - More power! Thanks to increased performance, the new generation of Pilz Motion Control systems PMCprimo C2 offers higher cycle counts and therefore new production quality. A wide number of interfaces and an encoder input, digital inputs/outputs and a USB interface for data import and export ensure a high level of flexibility. Configurable safe small control system PNOZmulti from Pilz new with application simulation - simulate the configuration now also offline! From Version 10.9 of the Software tool PNOZmulti Configurator, PNOZmulti projects of the configurable safe small control systems can be simulated offline, completely without the use of hardware. 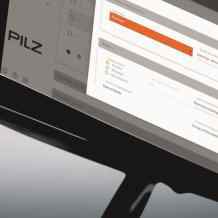 That way, Pilz provides a user-friendly aid to detect, analyse and remedy errors at an early stage. 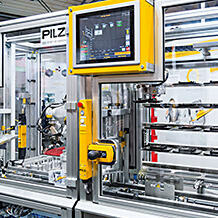 With the Pilz Education Systems (PES) Pilz launches a modular training system on the market. With this, the institutions of training/further education can improve the practical training in the field of safe automation technology. Pilz completes its light curtain portfolio: In addition to finger and hand protection, the light curtains PSENopt II are available from now also as versions with body protection. Thanks to high robustness, fast diagnostics and comprehensive accessories, access to hazardous areas can be safeguarded economically. For her life's work, businesswoman Renate Pilz receives the "Preis deutscher Maschinenbau" (Award of German Mechanical Engineering) 2018. She received the award on Tuesday, 16. October at the 10. Mechanical Engineering Summit. According to the expert jury, the consequent value-based corporate culture of Pilz GmbH & Co. KG. is to be particularly honoured. 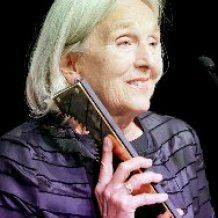 Renate Pilz is the first woman to receive this award. New energy store PMCenergy SD uses braking energy - If you brake, you economise! Pilz expands its range of energy-efficient drive technology: The new energy stores PMCenergy SD save up to 60 % of energy when used in conjunction with the servo amplifiers PMCprotego D and PMCtendo DD5. For this, the braking energy created in a braking process is absorbed, buffered and provided again - without mains feedback. The magnetic safety switch PSENmag in the stainless steel variant reliably monitors safety gates and positions in harsh industrial environments up to 120 °C and instils confidence with its long service life. At InnoTrans 2018, from 18-21 September 2018, automation systems provider Pilz will present its comprehensive solution offerings for digitalisation on trains and railway lines. Beyond control system solutions with the PSS 4000-R automation system, Pilz offers complete solutions up to and including completely pre-wired control cabinets. On September 21, as part of the InnoTrans Convention, Pilz will present ideas in the “Innovative paths 4.0 – VDB future workshop” on the topic of “Industrie 4.0 – Rail 4.0: Opportunities for mid-sized companies”. The new analogue input module PNOZ m EF 4AI expands the product range of configurable, safe small control systems PNOZmulti 2. It can be used to safely record and monitor any process up to PL e or SIL CL 3. One particular advantage is the separate module program (mIQ) with can be used to make fine-granular adjustments of the value. This ensures faster processing directly in the module, process monitoring is not only safer, but also more exact. 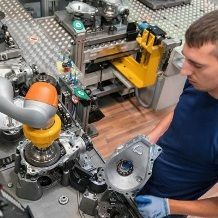 For safety when working with robot assistants, the BMW Group works together with Pilz: the automation company carries out the conformity assessment including final CE marking. 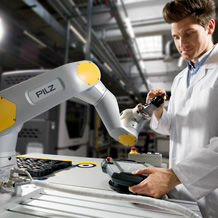 That enables Pilz to ensure safe human-robot collaboration (HRC) at multiple production sites of the BMW Group. 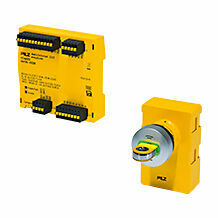 Safe monitoring of mechanical presses is guaranteed by the new dual-pole semiconductor output module PNOZ m EF 8DI2DOT of the configurable safe small control systems PNOZmulti 2 from Pilz. This means that press safety valves and other actuators that require dual-pole switching can be controlled simply and flexibly. This enables not only safer, but also clearly more productive management of the operation of mechanical presses. Pilz expands its product range in the Motion Control area by a new operator terminal PMI 6 primo with control, motion and CNC function - control and visualisation of "primo" drives! Now the solution package Pilz Motion Control (PMC) includes the operator terminals PMI 6 primo, with their PLC, Motion and CNC functionalities. Within the plant, they perform not only automation including motion management, but also the visualisation or project planning. This equipment enables the user to have a more flexible application, if required. If people, machinery and industrial processes are intelligently linked, these networks are also more susceptible to attack. The Pilz SecurityBridge protects the configurable, safe small controllers PNOZmulti and the automation system PSS 4000 from network-based attacks and unauthorised access. Plant and machinery are thus not only safe, but also secure, which ensures the safety of employees and increases the availability of the machinery. Pilz continues to grow in turnover and number of employees- new to the portfolio: Modules for service robotics: "Grateful for a successful year 2017." The Pilz GmbH & Co. KG Group continues to grow: In the last financial year 2017 the automation company increases its turnover to 338 Mio Euro and the number of employees to about 2.300. The demand on the Asian market has grown particularly strongly. In 2018, the family business wants to continue growing and it also promotes a new, modular offer for service robotics. 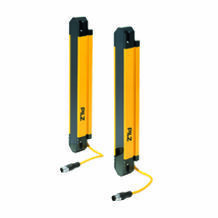 New products and versions for the modular safety gate system from Pilz – safety gate sensor PSENmlock with series connection, pushbutton unit PITgatebox and escape release – systematic protection for every gate! Under the motto "We automate. Safely." Pilz will be presenting innovative automation solutions for the factory of the future at the Hannover Messe from 23 to 27 April 2018. In the focus of this year's presence at the exhibition there is the topic of "modular safety gate system". In this context, Pilz presents its new version of the Industry 4.0-compatible safety gate system PSENmlock. 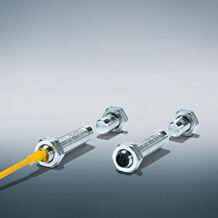 Furthermore, the automation expert presents novelties from the range of safety and control technology. The Safe human robot collaboration is also in the focus of this year's presence of Pilz. Pilz and TÜV Nord have been setting an international standard for machine safety qualification since 2013 with their CMSE® - Certified Machinery Safety Expert programme. CMSEs can pursue recertification to advance their knowledge base, remain up to date with the latest developments in the field of machine safety and retain their certification. PSENvip Long Range - safety at full length! 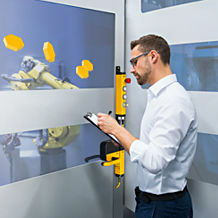 The camera-based protection system PSENvip 2 for press brakes from Pilz provides a new Long Range version: PSENvip Long Range is the first protective device with a protection range of up to 18 meters. That makes the robust protection system ideal for monitoring special presses such as tandem presses. The camera-based protection system fulfils all common safety standards and also EN 12622, so that PSENvip 2 guarantees maximum productivity with simple handling. 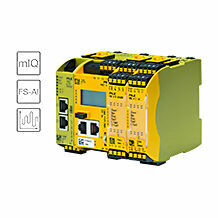 With PSS67 PLC, the automation company Pilz is launching the first safe PLC controller with protection type IP67. PSS67 PLC can be installed outside the control cabinet, directly on the machine. This means that users can save space, reduce their wiring work and enjoy greater flexibility when implementing decentralised control architectures. 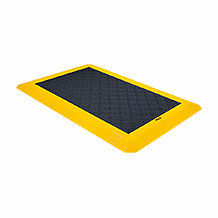 With PSENmat, the automation company Pilz is now introducing its own pressure-sensitive safety mat, developed in-house: A world first is the integrated position detection that provides the operator with a control function – similar to a virtual button. PSENmat thereby combines safe area monitoring with plant and machine operation in one sensor. It enables totally new machine control concepts. At SPS IPC Drives 2017 in Nuremberg (28.-30.11.) Pilz will be showing how human and machine can work together more closely and therefore more productively and ergonomically thanks to dynamic safety solutions. Among the world firsts are the controller PSS67 PLC, the first safe PLC controller with IP67 protection and the pressure-sensitive safety mat PSENmat with position detection. Pilz is expanding its range of services for international compliance: the automation company can now also support its customers en route to NR-12-compliant machinery, thus opening up access to the Brazilian market to machine builders and users all over the world. That's because: any manufacturer who sells machinery to Brazil must supply this machinery in compliance with the Brazilian regulatory standard (Norma Regulamentadora) NR-12. In turn, operators of machinery in Brazil are obliged to put in place protective measures for their employees in accordance with NR-12. 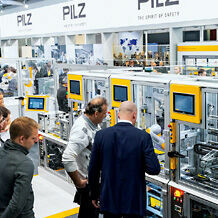 The new training year at the automation company Pilz in Ostfildern started on 4 September. A total of six apprentices and six students from the Baden-Württemberg Cooperative State University (DHBW) embarked on their professional career. One of the apprentices and three of the new students are female. From 2018 the company will have more dual courses as well as a new apprentice place in addition to those already offered in the training programme. 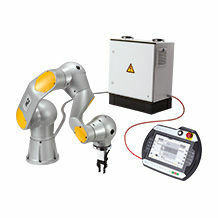 New force and pressure measurement system PROBms guarantees the standard-compliant safety of human robot collaboration (HRC) - Safe rental for HRC! With the new rental-based force and pressure measurement system PROBms Pilz now offers a complete package for validation of human-robot collaborations (HRC) in accordance with ISO/TS 15066. So the limit values for force or pressure of the robot movement, as specified by the ISO/TS, can now be measured precisely and therefore validated using PROBms. User software and product training complete the overall package. The worldwide rental concept guarantees that users always have an up-to-date measurement system at their disposal. So PROBms ensures greater productivity and safety on HRC applications. The new safety laser scanner PSENscan from Pilz safely monitors up to three separate zones simultaneously, significantly increasing plant productivity. 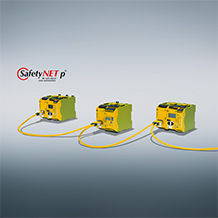 Up to four safety laser scanners can be connected in series in accordance with the master-slave principle, which reduces the cabling and set-up work considerably. Thanks to the free configuration of warning zones and protection zones plus the ability to adapt to existing structural conditions, PSENscan can easily be integrated into the most varied applications. For the first time ever, Pilz achieved a turnover of over 300 million Euro and is investing in research and development at its headquarters - "We are driving change"
The Pilz GmbH & Co. KG group of companies continued to grow during the last financial year: The automation company from Ostfildern near Stuttgart increased its turnover to 306 million Euro as well as increasing its number of employees to around 2,200 in 40 subsidiaries. Pilz is currently investing around seven million Euro in its headquarters in Ostfildern to expand research and development. At the end of 2017, Chair of the Board Renate Pilz will leave the operational side of the business and hand the management of the family business completely over to her daughter Susanne Kunschert and son Thomas Pilz. From Version 3.0, the speed monitor PNOZ s30 from the safety relay PNOZsigma product group has a new feature: a configurable analogue output, which makes diagnostics more user-friendly. 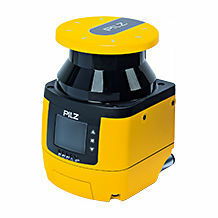 PNOZ s 30 from Pilz safely monitors standstill, speed, speed range, direction of rotation and broken shear pin up to the highest category PL e/SIL CL 3. Pilz at COMPONENTS SPECIAL TRADE FAIR BY INTERPACK 2017 in Düsseldorf, Hall 18, Stand B16 - Smart, safe packaging! 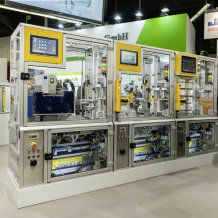 At this year's "Components Special Trade Fair by Interpack", the automation company Pilz will be focusing on flexible and economical solutions for packaging machines. The key areas will be solutions around the Smart Factory. Also new in Düsseldorf: the electrically activated E-STOP pushbutton PITestop active, which provides safety and productivity in the spirit of Industrie 4.0, particularly in the packaging sector. 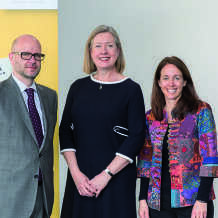 On 14.03.2017, the Australian Ambassador to Germany, Lynette Wood, and the Australian Consulate-General, Richard Leather, visited the automation company Pilz in Ostfildern to find out more about the medium-sized enterprise's solutions for the factory of the future. The talks also covered the importance of values in order for Industrie 4.0 to succeed. Pilz at the Hannover Messe 2017, Hall 9, Stand D17 - More intelligent automation! Under the motto "We automate. Safely." Pilz will be presenting industry solutions, product innovations and services for complete automation solutions at the Hannover Messe from 24 to 28 April 2017. This year's stand focuses on innovative new products for human-robot collaboration (HRC), sensor technology and the intelligent factory. 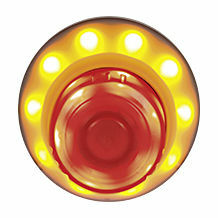 With PITestop active, Pilz has a new range of E-STOP pushbuttons that can be activated electrically. It indicates by illumination whether or not it is active. So you ensure greater flexibility and modularisation, completely in the spirit of Industrie 4.0. Users also benefit from a reduction in energy costs: that's because it is no longer necessary to keep power applied to the entire plant in order to maintain the E-STOP function. With PASloto, the automation company Pilz now offers a software package to document lockout-tagout processes (LoTo). As a result, job specifications for dealing with hazardous energy sources can be produced and documented simply. In the associated training course, Pilz also conveys the necessary knowledge about the LoTo procedure and covers the optimum way to work with the software. 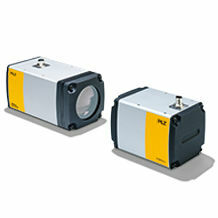 Pilz is expanding its range of light beam devices with the PSENopt slim range. With their slimline design, they are suitable particularly in applications where space is at a premium. Here the new super slimline light beam devices provide finger and hand protection, depending on the requirement, up to the highest Performance Level (PL) e.
Pilz is launching a new generation of field level devices with the decentralised I/O system PSSuniversal 2. 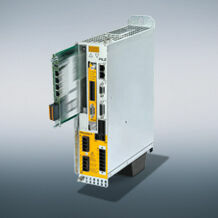 It consists of the PROFINET communication module and a selection of I/O modules. PSSuniversal 2 provides flexibility, openness and granularity in one system – for safety and automation. The merging of automation and safety functions along with both technical and mechanical improvements help users to save time and costs right from the planning phase. The base unit of the configurable control system PNOZmulti 2 has grown: up to 12 safe expansion modules can now be connected on the right-hand side; a new output module with 14 semiconductor outputs for standard applications is also available. So larger projects can now be implemented simply and flexibly with PNOZmulti 2; several projects can also be managed in parallel. 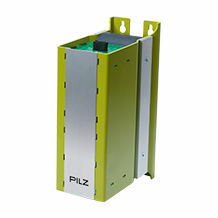 Pilz presents a new stand-alone motion control system - More power to move! With PMCprimo MC Pilz now offers a new, stand-alone motion control solution. With a 1.3 GHz processor, PMCprimo MC provides the very high performance needed for higher productivity and process quality. Thanks to its increased performance, the scalable motion control solution can now also be used in more complex plant and machinery. How can genuine human-robot collaboration (HRC) be implemented safely? And how do design engineers and users maintain an overview, particularly with modular and distributed plant and machinery? Visitors to the Pilz stand at SPS IPC Drives 2016 will receive specific answers to these questions. In Nuremberg the automation solution supplier will be exhibiting new products and services for safe robotics and for automation in the smart factory. 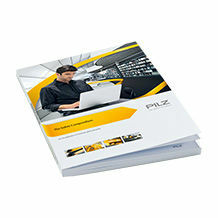 The new training year started at the automation company Pilz in Ostfildern on 5 September. A total of six trainees and 6 students from the dual system offered by the Esslingen University of Applied Sciences (DHBW) are starting their professional careers. In addition to the training places, Pilz also offers a wide range of internships, providing support with career choice orientation. This traditional company is deeply rooted in the region, acting as mentor and providing support as a member of the "Society of Friends of Esslingen University of Applied Sciences". Pilz at Motek 2016 – safe drive solutions for assembly and handling technology – Move it like Pilz! 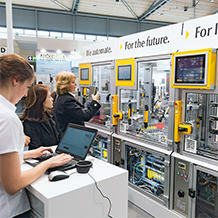 At this year's Motek, the automation company Pilz will be exhibiting products and solutions for complete automation – from sensor and control technology to drive technology, including operation and visualisation. The stand in Stuttgart will focus on safe drive solutions with safe motion and safe sensor technology PSEN. Visitors to the stand will also be able to obtain comprehensive information about machinery safety and the corresponding range of services, including for drive solutions. At the InnoTrans 2016 exhibition the automation company Pilz will be showing how industry-proven automation technology can be used in the railway sector. The stand will focus on the automation system PSS 4000-R, which enables Industrie 4.0 mechanisms to be transferred to railway technology. Pilz solutions can be used in applications up to the highest safety integrity level SIL 4; they also meet the normative requirements of CENELEC and support the open RaSTA protocol. Pilz uses virtual reality to help exhibition visitors experience the wide range of application areas for Pilz control solutions. Since 2013 the automation company Pilz has been working with TÜV Nord to offer the CMSE® - Certified Machinery Safety Expert qualification. More than 1,800 experts in over 40 countries have passed the corresponding examination. Now they can all use www.cmse.com to network, with access to exclusive, practical content. On the Automatica fair, Pilz puts the focus on the safe human-robot-collaboration (HRC). Based on two model plants, the automation company shows the practicable ways today to safe HRC and it also gives an outlook on future safety technologies. For the first time, Pilz presents its collision measurement device for standard-compliant validation of HRC in accordance with the new ISO/TS 15066. With its new product range PMI (Pilz Machine Interface) 6 Control, the automation company Pilz is introducing its first operator terminal to be equipped with a soft PLC in accordance with IEC 61131-3 as standard. This terminal goes beyond professional diagnostics and visualisation, making it possible to control the entire plant process in just one unit. So PMI 6 Control not only offers comprehensive diagnostics but also helps to increase the productivity of the "plant in view". Since 1. 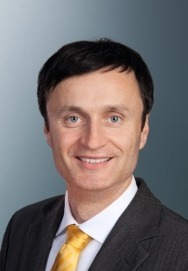 April 2016 Martin Frey has been the new Head of sales at Pilz. 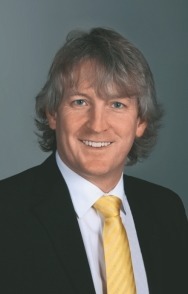 Frey used to work as the head of the Southwest Sales Region at Pilz. He follows Stefan Olding, who left the company of his own accord. Frey wants to expand the sales network of Pilz in Germany, and intensify customer contact together with his sales staff on site. New light grids PSENopt II for applications up to PL d - Just the type you need! The automation company Pilz is presenting a world first for this industry with the first type 3 light grids: As of now, the new light grids PSENopt II enable applications from the category performance level d (PL d). The new light grid type thereby closes the "type gap" of the revised version of IEC 61496-1. With PSENopt II it is no longer necessary to switch to type 4 when PL d is required. The level that precisely matches the safety requirement can now be implemented with the new light grids. This saves costs in the end as overdimensioning is not necessary. Pilz increases revenue, employees and export share in 2015 - "Healthy growth under own momentum"
The group of companies under Pilz GmbH & Co. KG, with its headquarters in Ostfildern near Stuttgart, can look back on the 2015 fiscal year with satisfaction. The family-owned business increased its revenue by 11 percent to 288 million Euros. The employee total also reached a new record level last year: it was up 6 percent at 2,030. 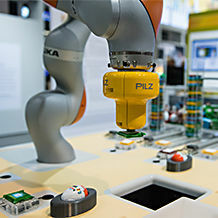 With an R&D ratio of 19.8 percent of revenue in 2015, Pilz reaffirms its credentials as one of the most innovative businesses in the field of automation technology. 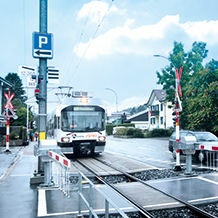 Pilz is adding PSENmlock to its range of safety gate systems with immediate effect. PSENmlock offers safety gate monitoring and safe guard locking for the protection of personnel and processes to the highest category PL e in one device. The slimline yet robust design and the many different installation options make PSENmlock both flexible to use and easy to install. 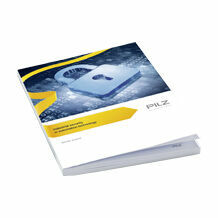 New diagnostic solution: "Safety Device Diagnostics" from Pilz - Reliable diagnostics! 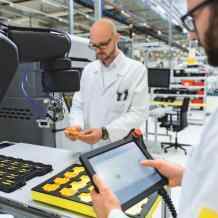 The automation company Pilz is expanding its portfolio to include the diagnostic solution "Safety Device Diagnostics", which comprises a fieldbus module, junction and safe sensor technology PSEN. 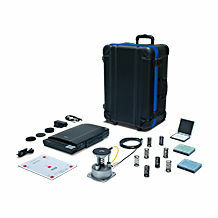 The new diagnostic solution enables a wide range of sensor data to be called up simply, including over distance. Service operations can be considerably reduced as a result, significantly increasing productivity. Pilz at the Hannover Messe 2016, Halle 9, Stand D17 - Your way of Automation! Under the motto "We automate. Safely." Pilz will be presenting industry solutions and services for safety and automation at this year's Hannover Messe from 25 - 29.4.2016. The automation company will also be presenting its product innovations from the fields of "Sensor technology" – including a world first – and "Operating and monitoring". The "Non-persistent online change" function" can be used to transfer individual changes in the user programs to the control system. 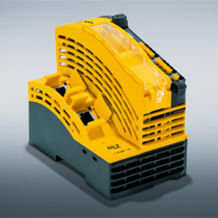 Now Pilz provides this function in the automation system PSS 4000 also for safety applications. Users will save time, because there is no need to compile and load the whole program during commissioning. The function is a component of release 13 of the automation system PSS 4000. Among the further innovations there is a device interface for communication with Profinet networks. Information exchange on the subject of Industrie 4.0, between Pilz and EU Commissioner Günther H. Oettinger: "MSEs must take an aggressive approach to digitalisation"
Industrie 4.0 was the focus when Günther H. Oettinger, EU Commissioner for Digital Economy and Society, visited the automation company Pilz in Ostfildern. 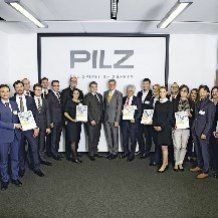 At Pilz's headquarters he opened the new training workshop, in which professionals for the industry of the future will train for their qualifications. During his visit, EU Commissioner Oettinger also learned about control solutions for the networked factory. Finally, as a manufacturing company Pilz provided some insights into the opportunities and challenges for SMEs in the area of Industrie 4.0. 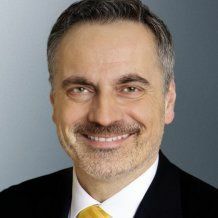 The EU Commissioner was accompanied by Guido Wolf (MdL), the CDU's front runner for the state elections in Baden-Württemberg in 2016, as well as Andreas Deuschle (MdL). 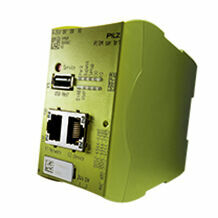 Safe drive solutions from Pilz Pilz PMC (Pilz Motion Control) now have an interface also for PROFINET. This new communication connection is available for the servo amplifiers PMCprotego D and PMCtendo DD5. With the safety card PMCprotego S, PMCprotego D can be additionally expanded with Safe Motion functions. Safe Motion reduces setup times and maintenance costs and so increases productivity. 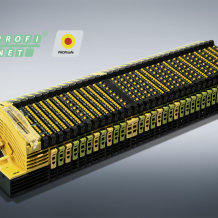 New base unit in the configurable control system PNOZmulti 2 from Pilz – Basis for large projects! 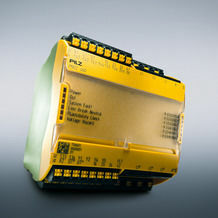 Standards for safety, more connections and simpler project management – Pilz is adding its new base unit PNOZ m B1 to the range of configurable control systems PNOZmulti 2. Not only does it offer higher performance for machines with a larger function range, i.e. for larger projects, but it also provides a connection to all common fieldbus systems via the corresponding expansion modules. The automation company Pilz in Ostfildern received a visit from the federal chairman of the FDP, Christian Lindner, on 11. November 2015. The focus of the visit was the open exchange of experiences between the family business and the Liberal Democrats. Christian Lindner was accompanied by the FDP Landtag candidates for Ludwigsburg (Stefanie Knecht) and Esslingen (Erdal Özdogan). It is always expected to be present, but only when it is absent is it actually noticed: safety has the task of protecting people, machinery and the environment. In the past, safety and automation were usually regarded as two separate systems with at least partly conflicting goals. Practice shows that considering the safety functions together with automation technology creates a distinctly better starting position. The challenges of automation can thus be tackled with much greater ease. The year 2015 is an especially memorable one for Pilz: -	Opening of the first production site outside Europe – in Jintan, China -	Construction of new Peter Pilz Production and Logistics Centre in Ostfildern and expansion into Pilz Campus -	New logo visually underlines positioning as a supplier of complete solutions for safety and automation. -	Pilz brings own web-based visualisation software PASvisu onto the market -	The number of employees will exceed 2000 this year for the first time ever. So the signs point to growth at Pilz. Its values and core beliefs are the springboard. Dirk Sonder, Senior Vice President Production Pilz GmbH & Co. KG In building the new Peter Pilz Production and Logistics Centre, Pilz is not only expanding its production area at its headquarters in Ostfildern: flexible, production-centred hall design, energy efficiency, integrative design of processes and working environment as well as a clear Industrie 4.0 focus are establishing the basis for the further growth of the company. At this year's SPS IPC Drives exhibition in Nuremberg (24. - 26.11.2015), Pilz will be showing its range of complete solutions for automation tasks: from sensor technology to control and drive technology – one-stop safety and automation! Pilz will also be exhibiting automation concepts for Industrie 4.0 along with other partners of the research platform SmartFactory KL, on a shared stand in Hall 3a. The new training year has started at Pilz in Ostfildern. A total of five apprentices and nine students of the Baden-Württemberg Cooperative State University (DHBW) are starting their careers at the automation company. Pilz is expanding the performance range of its automation system PSS 4000 for safe motion monitoring: the new, compact I/O module PSSu K F EI monitors safe speed, direction of movement and stop functions. Users benefit from reduced reaction times and higher productivity, as well as simpler maintenance repair of their plant and machinery. 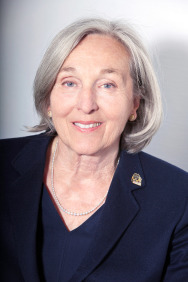 On 03.07.2015, Renate Pilz, Chair of the Board of Pilz GmbH & Co. KG, was awarded the Staufer Gold Medal. The Prime Minister of Baden-Württemberg Winfried Kretschmann presented the medal at a ceremony in Stuttgart. The Staufer Medal is a special, personal honour awarded by the Prime Minister for services to the State of Baden-Württemberg and its people. The Pilz group of companies based in Ostfildern near Stuttgart enjoyed a successful end to the 2014 financial year. The family business increased its turnover to the new record value of 259.3 million Euro. This means an increase of 11.3 per cent over 2013 for the world market leader in safety relays and safety control systems. The number of employees also rose last year: by 6.3 per cent to 1,922. The automation company Pilz has opened a production site in the Chinese city of Jintan. In its first production site outside of Europe, the family business from Baden-Württemberg will produce PNOZ safety relays to its company-wide quality standards. As a result, Pilz will be able to supply the growing Chinese market more quickly and consolidate its position there. 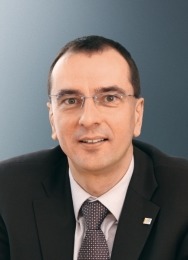 In 2013 Pilz worked with TÜV NORD to develop the international qualification CMSE® - Certified Machinery Safety Expert. This qualification programme teaches extensive knowledge of the machine lifecycle in 22 countries worldwide. In Australia, the 1,000th delegate has now obtained the qualification. That's just one of the reasons why CMSE® has become an international standard for certified training in machinery safety. As part of her opening tour of the Hannover Messe 2015, Chancellor Dr. Angela Merkel visited the stand of the automation company Pilz. She was accompanied by Narendra Damodardas Modi, Prime Minister of the Republic of India, this year's partner country of the exhibition. Renate Pilz, Chair of the Board, welcomed the guests and introduced the family business and its global commitment to the safe automation of plant and machinery. Automation company Pilz renews its brand identity. The family business from Ostfildern is introducing its new logo at the Hannover Messe. The intention of Pilz is to underline visually its positioning as a supplier of complete solutions for safety and automation. Pilz is a new member of the demonstration and research platform SmartFactory KL. As such, the complete safe automation supplier will be actively involved in formulating unified standards for Industry 4.0. The first joint project is to implement a storage module for the smart factory demonstrator at the Hannover Messe 2015. MEYER WERFT in Papenburg has equipped its laser welding laboratory for high-performance laser welding technology with a safety solution comprising the automation system PSS 4000, safe sensor technology PSEN and control and signal devices from Pilz. In conjunction with the safety gate system PSENsgate and the operating mode selector switch PITmode, PSS 4000 controls and monitors all the safety functions in the laser welding laboratory, meeting the highest safety requirements up to Performance Level e and Safety Integrity Level 3. The components of the automation system PSS 4000 are now approved as safety components for lift applications by TÜV Austria. Lift operators and manufacturers can implement the strict safety regulations and specific requirements that are applicable for these applications using the PSS 4000, in a way that's technically independent, flexible and easy to implement. 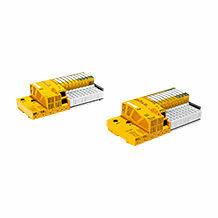 Pilz is expanding its range of configurable control systems PNOZmulti 2 with new safe motion monitoring modules. The two new modules provide safe monitoring of one or two axes in drives; safety functions can be created and monitored with ease. The modules can be used in any industry, but are a particular advantage in machine tool manufacturing. Pilz is now supplying the safety relay PNOZ c2 from the product range PNOZcompact for safe monitoring of all standard type 4 light beam devices or sensors with safe switching devices (OSSD outputs) in accordance with EN 61496. The short reaction time of no more than 12 milliseconds provides added flexibility as light beam devices can be mounted nearer to the hazardous movement. The new PNOZ c2 can be used in all fields of mechanical engineering and meets the highest safety requirements up to Performance Level (PL) e and Safety Integrity Level Claim Limit (SIL CL) 3. 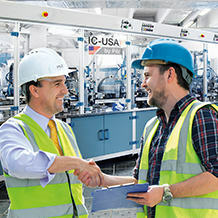 The safety relay brings benefits for the series production of machines in particular. Pilz is expanding the range of programming tools in the automation system PSS 4000 with the editor PAS LD (Ladder Diagram). It can be used to create safety-related programs, programs for automation tasks or a combination of the two. 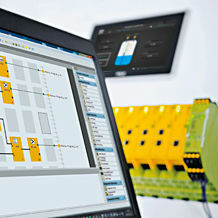 Within the Pilz automation system the new editor can be freely combined with the other EN/IEC 61131-3 PLC programming languages, so that even complex automation tasks can be handled simply and consistently. The proven operating mode selector switch PITmode from Pilz is now available in a new design, with optional pictograms for machine tools. The use of standard symbols makes it ideal for international use. PITmode provides two functions in one compact unit: safe selection of defined operating modes and access authorisation for the machine. Prime Minister Kretschmann visits Pilz, the technology leaders – Renate Pilz: "Education is the key to safeguarding the future"
The automation company Pilz in Ostfildern received a visit today from the Prime Minister of Baden-Württemberg Winfried Kretschmann. During his visit he learned about its research and development activities and saw the training facilities set up by this medium-sized enterprise. The Prime Minister singled out the achievements of the family-run business. The Management Team emphasised the importance of an education policy that was both technically sound and ethically oriented.